Seeking wisdom. Seeking wisdom. Seeking wisdom. Seeking wisdom is the mantram suggested for the student. Seeking wisdom. Understanding that the self, singular in nature, is rarely provided with wisdom, it is the joining together with others in singular focus - seeking wisdom -that draws forth that which is impossible to draw forth when the self stands alone. Unity is the goal. Failure to understand that the self is incapable of accomplishing that which can be accomplished with one, two, three, four, five, six, seven others indicates that the ego dominates, for the ego tells the self that no other is needed. It is the ego that forbids joining. It is the ego that forbids sharing. It is the ego that encourages competition. It is the ego that denies the self success. The readings this day provided were those of another planet – not Saturn, not Vulcan – as yet to remain unnamed. It is for each to study all line identifiers and to determine for the self which belongs to the self. Where is this behavior present? How does it manifest for me? Seeking the assistance of others, for it is the rare individual that can select that which is most applicable to the self, as has been noted this day. Do you believe my brother(Loereve) that there are energies that surround the body at this moment, that are impacting the body without knowledge of the self? 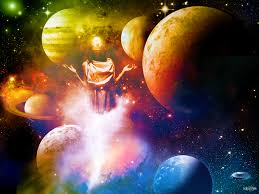 The energies of the planets that denote the lesson plan for each consciousness upon this planet – these planetary energies shift, change, intensify, weaken based upon planetary alignment. The consciousness is affected by this planetary alignment throughout the lifetime. Those who are cognizant of planetary energies and their impact upon the bodies – the outer bodies of the human – have written many publications that could aid you in this understanding. Each planet has a theme; this theme is brought forth…the Teacher utilizes the energies to draw forth those individuals that can present what is needed by the consciousness at this time. Using planetary energies is the focus of the Teacher, for these energies are readily available for each consciousness without the creation, the generation of negative or positive energies to aid the individual. It is the catalyst that is brought forth by the Teacher that activates the energies that reside within my brother (Loereve); these energies are embedded within the bodies of the self at birth. It is these energies that are utilized by the Teacher. We shall use Mars as an example…its’ alignment with the Earth at this time provides the Teacher with additional energies to draw upon; when the planet is in retrograde, massive quantities of negative energies are available to the Teacher without the creation of negative energy here upon the surface of the planet. It is during this time period that much testing takes place upon the Earth, for the Teacher can take advantage of these energies without concern that imbalance may be created that is what could be referred to as extraordinary in nature. It is the Teacher’s desire to utilize those energies that are available to teach the student; it is rare that the Teacher creates negativity in order to teach. The energies exerted by a particular planet upon the human have no correlation between distances; rather, it is based upon alignment…alignment with the planet Earth, as well as alignment with other planetary spheres. Astrology is a study that would be suggested for you my brother(Loereve) – a primer, so to say…one that will inform you at an introductory level, of what occurs when planetary energies come into contact with other planetary energies. Suffice it to say that the Teacher utilizes the energies created by the movement of planetary spheres; those that are of particular interest to the student would be Mars, Venus, Jupiter and Vulcan.